The scope of disasters ranges from man-made emergency to natural calamity, from a kitchen grease fire to a hurricane or volcanic eruption. It may be just one house that is destroyed, or perhaps a whole infrastructure system is threatened. While each type of event requires a very different scale and type of immediate response, the project management challenges that face restoration and reconstruction professionals after the emergency phase is complete are remarkably similar. Using insights acquired through decades of real-world experience, as well as from his academic research and teaching responsibilities, the author explains pertinent requirements and methods for the contractors and other professionals who bring order from chaos. 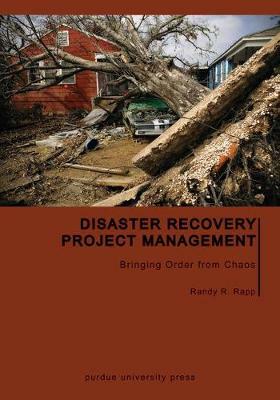 The first section of the book surveys the managerial skills required to confront the range of disasters that might be encountered and the different project environments involved. The second section examines the details of project management and administration, from materials management to health and safety. The third and final section provides an overview of restoration techniques, from restorative drying to debris management and demolition. This is the first systematic presentation of the tools and skills needed for disaster recovery project management. It is designed primarily for contractors (both large and small firms), although it will also be of value for those who might hire them, the communities they serve, and their organizational partners in the disaster recovery effort. Those who are new to disaster restoration and reconstruction will find the volume particularly useful. Focused on informing the management of projects that recover the built environment, after emergency conditions sufficiently stabilise, the volume supplements and complements books devoted to conventional construction or emergency relief management.